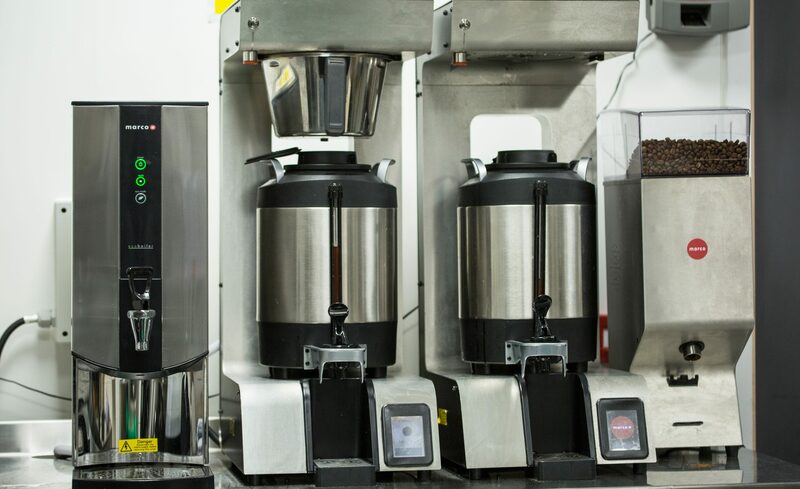 Things To Consider for Your Batch Brew - Marco Beverage Systems Ltd.
Batch brew coffee is becoming increasingly popular popular among restaurants, cafes and hotels. This is because batch brewing is consistent and easy to make once it is made correctly. Batch brewing also requires less effort and time, cutting labour costs while increasing output. Here are a few things to consider when making your perfect batch brew. Grind size is closely linked to brew time. The longer the brew time, the coarser the grind size should be. Additionally, the shorter the brew time, the finer the grind should be. For batch brew, there are a few factors that will determine the grind size. If your water delivery is fixed by your machine, make sure to have the correct grind. For small batches (one or two litres) with a three to four minute delivery time, a grind with the coarseness of granulated sugar will do. 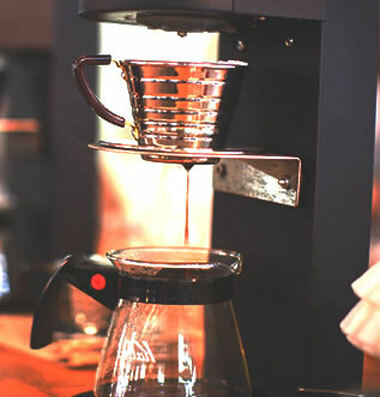 For bigger batches (such as 6 litres) a longer brew time is required to allow the water to full pass through the coffee bed – about six to eight minutes. Thus, these brews will need a much coarser grind; think of the texture of rough sand. The ideal temperature to brew hot coffee, as advised by the Specialty Coffee Association (SCA), is 92°C to 96°C when the water hits the bed of coffee. This comes from a 1960s research conducted by the Coffee Brewing Centre in the US and has been backed by various bodies since this was published. The Speciality Coffee Association recommends a minimum of 50 grams of dry coffee per litre of cold fresh water in Europe. 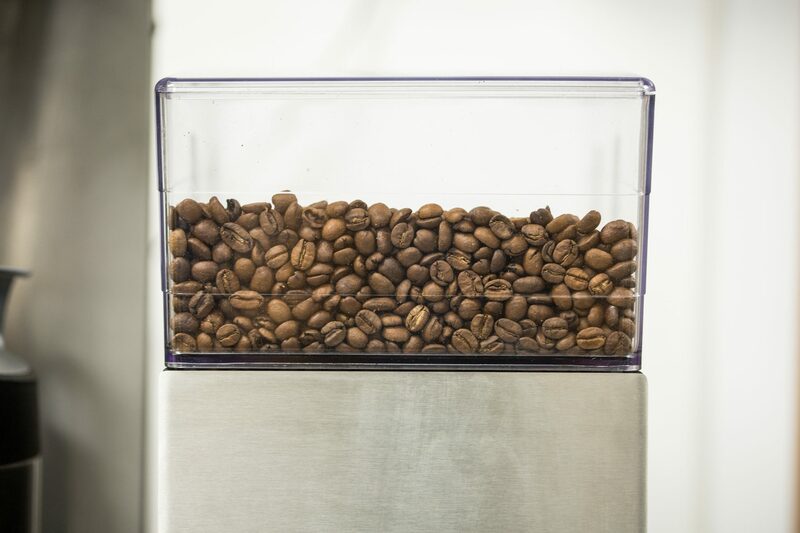 However, here at Marco we recommend 60 grams per litre, if 20% of that dry coffee will be extracted. If your coffee is quite dark, 50 grams may be better. Anything less than 50 grams per litre will leave your brew tasting thin and lacking mouthfeel. 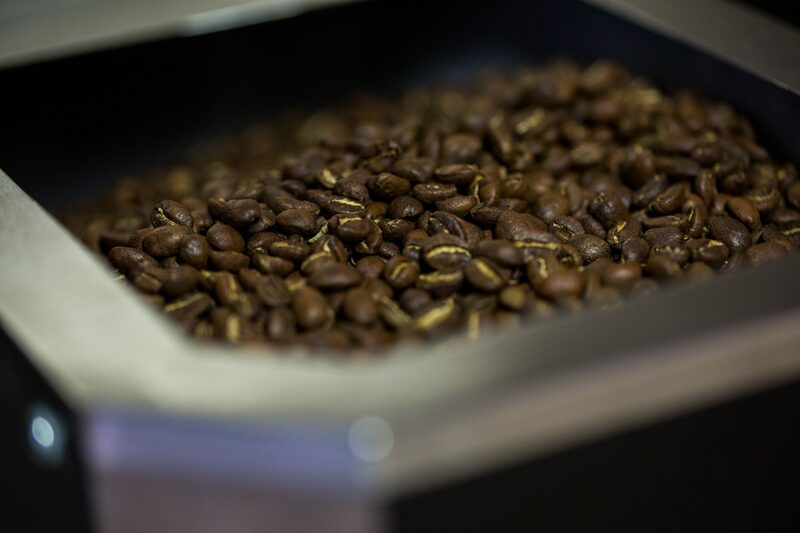 As said before, this hugely depends on the grind size: the thinner the grind, the less time it takes to brew. Conversely, the coarser the grind, the more time it takes to brew. You need a batch brew machine that will not compromise on quality due to high quantity. As said before, this hugely depends on the grind size: the thinner the grind, the less time it takes to brew. Conversely, the coarser the grind, the more time it takes to brew. If you want more information on the Marco JET 6 or any Marco products, get in touch.